Address: 150 Tyrwhitt Road, Singapore 207563. I have no ideas what made my colleague to treat us a drink at Chye Huat Hardware on the Friday’s afternoon. It was a message shared by another colleague, who went out for lunch together with us, 9 of us, and told us to meet up at the cafe as one of our colleagues wanted to treat us a drink. Okay, there was another account saying that it could be just that one colleague wanted to treat one of the 9 colleagues but the rest of them dragged into the picture. Anyway, it is a free drink. I have no ideas whether it supposed to have Earl Grey tea’s taste but it has none, purely on coffee even the floral or peach taste was not strong. 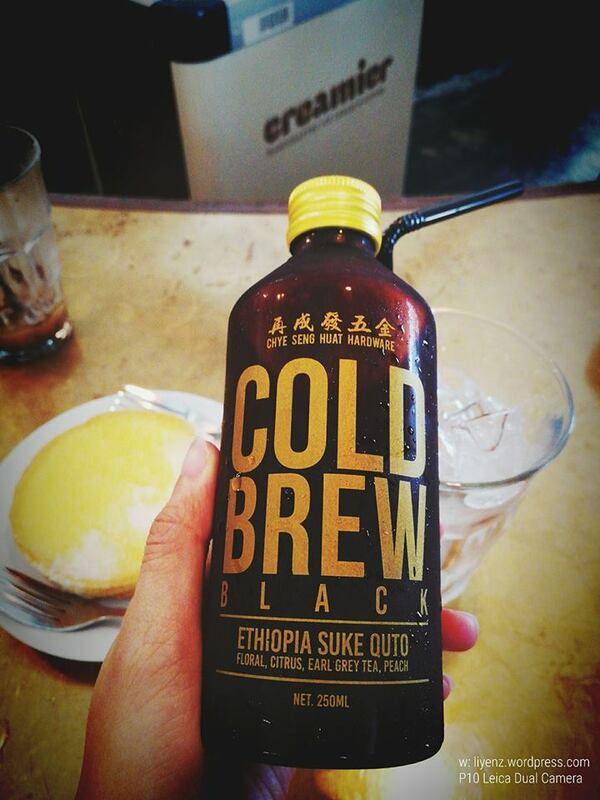 My colleagues tried the Cold Brew White which tasted better because of having milk inside. We ordered the lemon pie and shared it as you can see the pie from the background of my drink. Thank you for the treat. It was a wonderful Friday’s lunch for whatever reason it was.